Frengky is a self professed man of God, active in his bible based Christian church. He’s also a dog and cat butcher. Many Indonesians are Muslim and would never harm cats, but as a Christian Frengky’s not bound by Islamic laws, which also forbid alcohol. 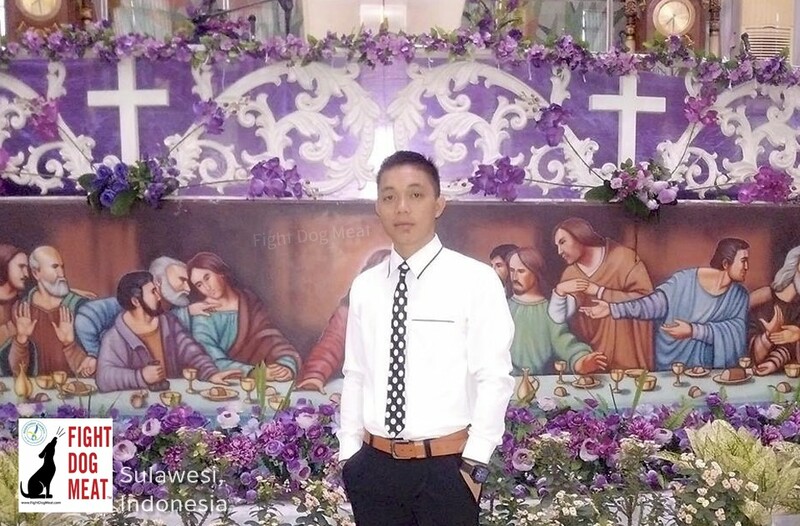 A number of Indonesian Christian men believe eating dog and cat meat when drinking alcohol helps them “get even more drunk.” Pictured wearing the white shirt and hat, Frengky lives in Manado, Sulawesi, Indonesia. Cat which was captured and bludgeoned yesterday for cat meat. Animal cruelty is rampant in Manado. The huge Sulawesi animal market has become a morbid tourist destination for shock and horror, as dogs and cats fearfully wait their turn for a brutal agonizing death. Tourists snap photos and turn away in giggles of horror. All sorts of animals are killed and displayed at Sulawesi market, including monkeys, rats and more. Self professed Christian bible man of god, Frengky. The brutality of Sulawesi’s market is mimicked across the Manado community, which has become immune to the suffering of live animals screaming in pain and pleading for a shred of mercy. It is heartbreaking for local animal lovers living in Manado, who feel helpless to stop the ongoing cruelty which surrounds them. 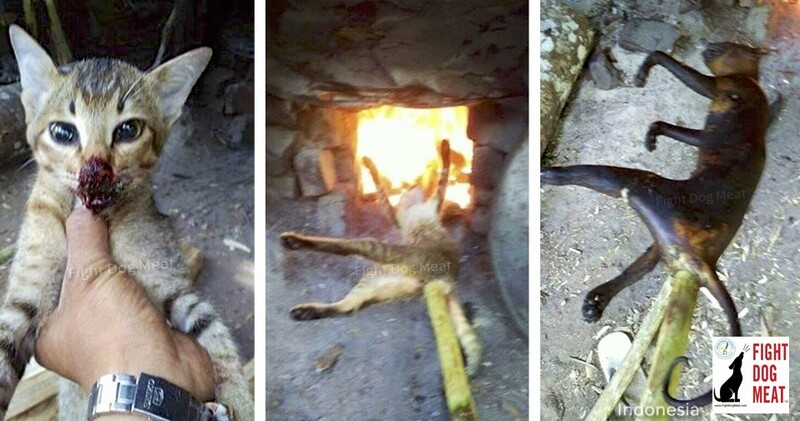 Dog being butchered for dog meat, in front of small children. 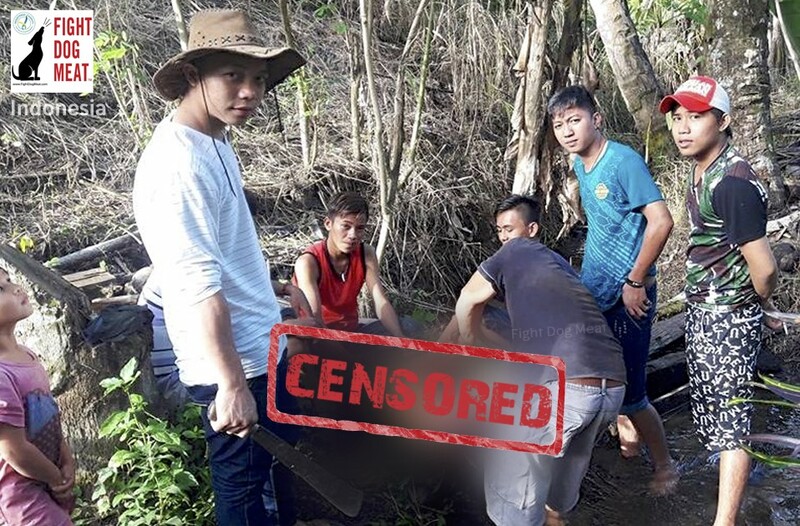 Frengky is wearing the white shirt and hat, and holding the machete. Videos: Christian Wedding Pig, as little children watch on. 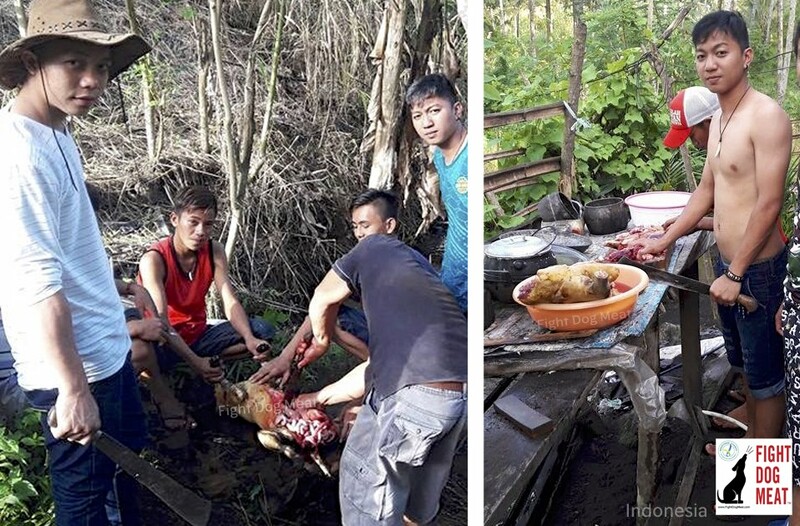 A number of Christian churches across Indonesia promote dog meat by supplying dog meat at church gatherings and events. Some of these Christian churches are lead by westerners who use the lure of providing dog meat meals to bring in parishioners to bible study groups. Fight Dog Meat will be bringing you more information from Indonesia.